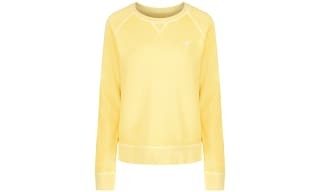 This selection of GANT womenswear offers a wide range of new styles from the exciting new season collections. Defining relaxed American style, GANT womenswear allows you to achieve perfect smart casual style with ease. This exclusively chosen selection includes an array of feminine prints, flattering silhouettes and staple pieces that make for beautiful and chic additions to your wardrobe. With a heritage colour palette that exudes luxury splashing its way into blazers, blouses, dresses, scarves, trousers and more, there is sure to be something to fit your style in this range. Browse this fabulous selection today and discover your very own American style right here at Outdoor and Country. Shop the GANT for women range at Outdoor and Country with free UK delivery. 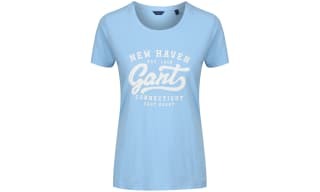 We have a huge range of the latest GANT styles for women to choose from in our exclusively selected range that includes the effortlessly chic, high quality styles that GANT are renowned for. From jackets and coats that look great with everything to shirts, blouses and tops that will take your every day jeans and tee ensembles up a notch in the style stakes. Shooting to the fashion forefront from the launch in 1949, GANT's collections continue to be much coveted by many. Discover the latest styles for an instant wardrobe update at Outdoor and Country. Shop our stylish selection of GANT women's coats and jackets and discover a world of chic design and striking colour ahead of the new season. 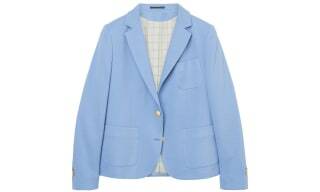 Representing the preppy sector of North-Eastern American fashion and aimed at those who adore the fashion-conscious campus lifestyle, GANT have made a name for themselves for all manner of apparel. This handpicked range of coats and jackets has been designed to add layered style and cosy warmth. 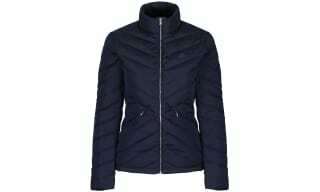 Discover our superb selection of GANT women's coats and jackets to ensure an elegant solution to your outwear needs. Explore the beautiful selection of GANT women's knitwear, sweaters and jumpers and discover your very own relaxed American style. This sartorial selection of GANT women's knitwear, sweaters and jumpers is set to show off some of this seasons cosiest layers, it is impossible to resist their luxury. Taking clear inspiration for the brands American sportswear heritage and fusing it with a contemporary edge, this wearable knitwear collection has been designed with the modern fashionable woman in mind. 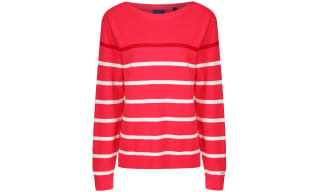 From lightweight weaves to heavier open knits, the striking colour palettes in these sweaters and jumpers will pair beautifully with the selection of shirts and blouses on offer from GANT this season. 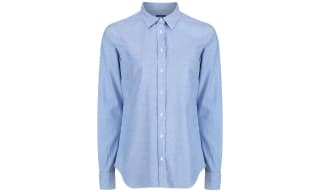 Our selection of GANT women's blouses and shirts is a fabulously feminine lesson in layering from iconic lifestyle clothing masters GANT. Choose from a wide range of new season styles all cut to perfection and in colours picked from a fresh, clean palette. 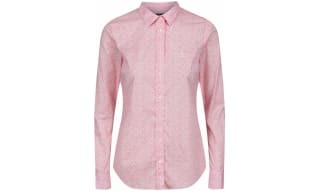 A GANT blouse or shirt is a sure fire way to add a feminine and sophisticated touch to your wardrobe. Floral patterns, complimentary hues and gorgeous textures make this capsule collection from GANT undoubtedly stylish and desirable. The selection of designs and cuts on offer will provide something for every situation from a lunch date to an evening in the theatre. Don’t miss out on picking up your new favourite piece and shop with free UK delivery. 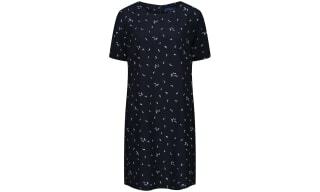 Discover our super stylish, ever-so desirable and oh-so beautiful GANT women's dresses and tunics for a wide range of the latest and greatest style that are sure to add imitable GANT charm to your dress collection. Designed with heritage colour palettes, timeless prints and feminine silhouettes at the forefront of inspiration, these dresses are perfect for the stylish modern woman. GANT have a heritage that dates back to 1949; drawing on their strong knowledge and experience, these pieces have been crafted to the highest quality to offer desirable silhouettes alongside excellent craftsmanship - as soon as you slip on one of these dresses you will be in love. Every piece within this handpicked range of GANT women's jeans, trousers and shorts has been crafted to exude sophisticated style, boasting beautiful colour palettes and expert designs, which in turn create a smooth and flattering contour. This American heritage inspired brand have become famed worldwide for their much coveted clothing and outstanding craftsmanship that ensures excellent quality, demonstrated throughout this luxurious trouser range. 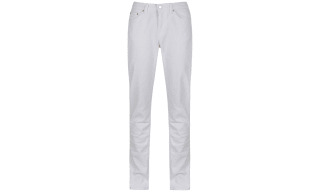 These trousers take cue from the brands iconic American colligate aesthetic and available in easy to wear cuts and flattering jean styles, ensuring they will soon become your wardrobe staples.